If you really want to reach your goals the first step is to formulate your goal in the right manner. Let our proven SMART+ Goal Setting System (now the new version!) guide you and avoid the pitfalls. At the end of these 8 easy to follow steps you will have a perfectly formulated goal. 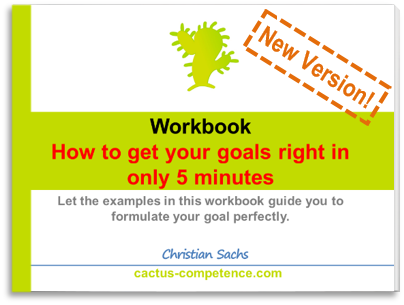 Let the examples in this workbook guide you to formulate your goal perfectly! Its FREE!